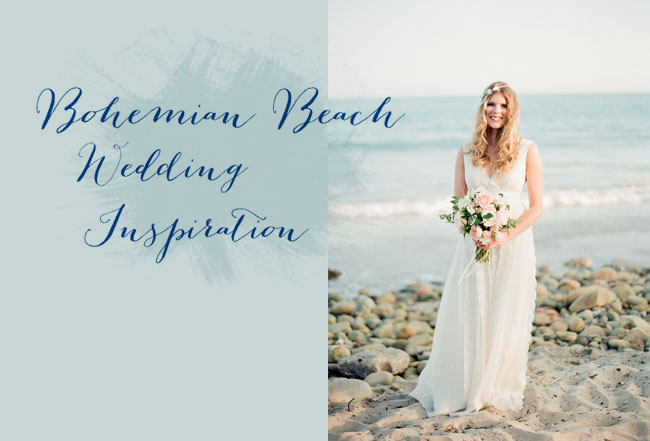 I absolutely love when artists decide to bring one of my inspiration boards to life and that is exactly how this shoot started – all based on this pretty Bohemian Beach inspiration board. 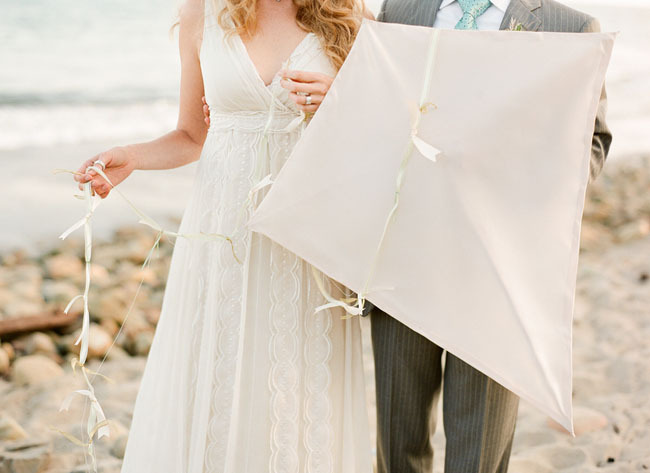 With a love for intimate weddings and natural settings, Lavender & Twine and Twine Events set out to the beach to create a romantic elopement. 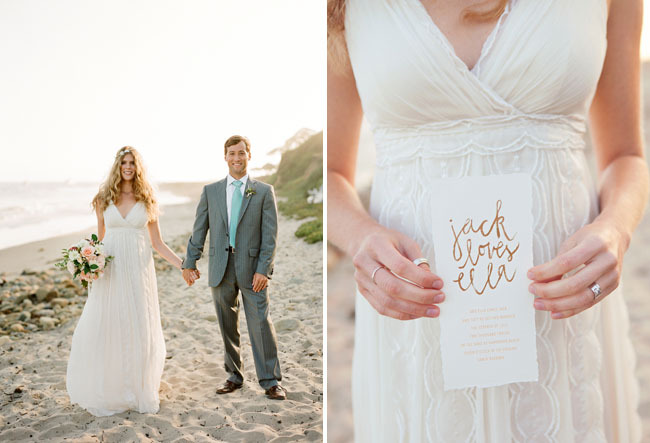 With his love for surf and her love for the beach, they found the perfect location on a local beach that couldn’t have been more secluded and perfect. 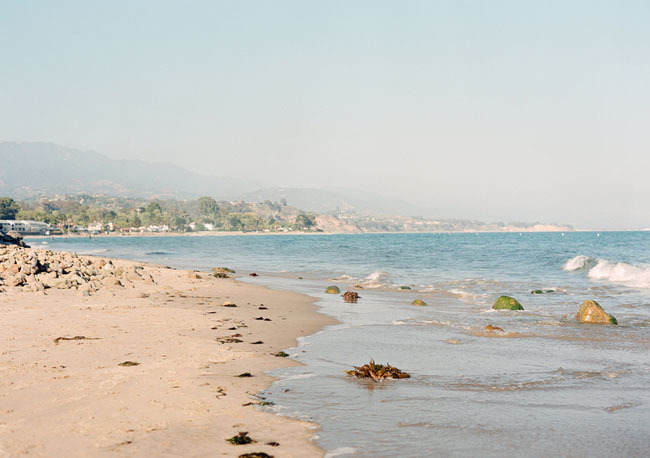 Oh, and fun fact – they spotted singer Jack Johnson surfing in the distance! 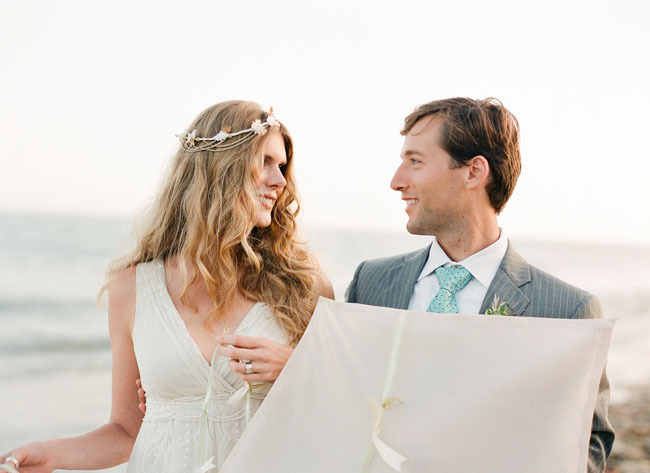 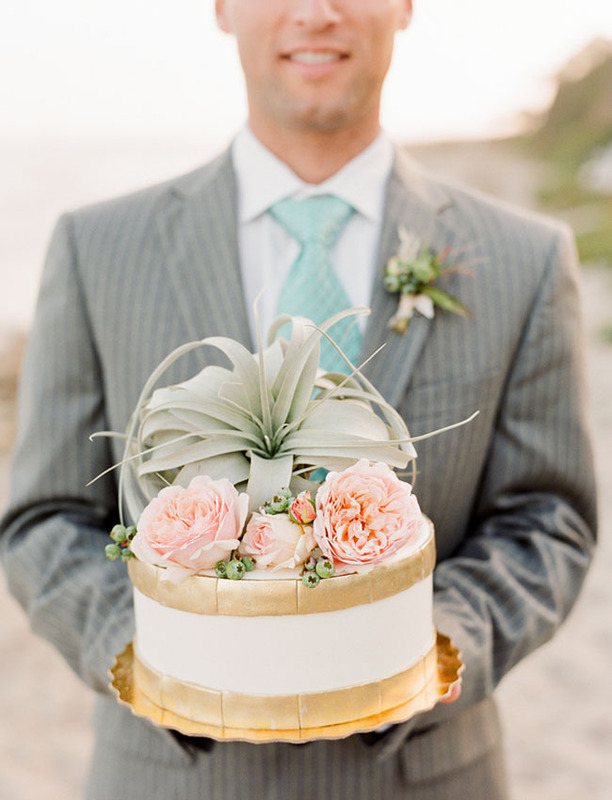 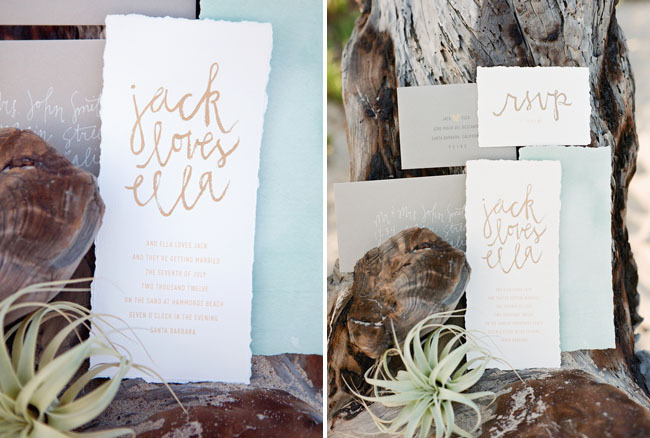 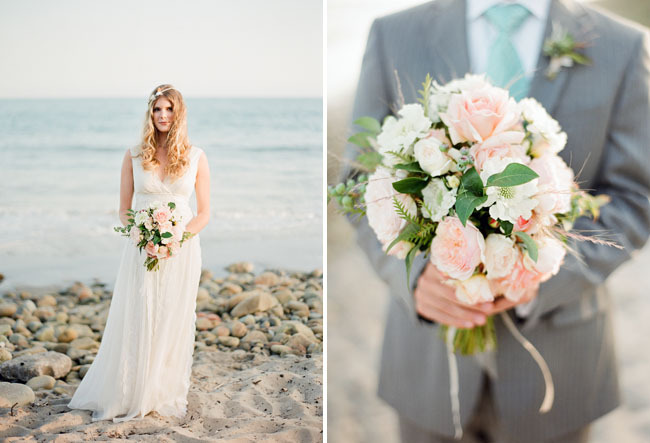 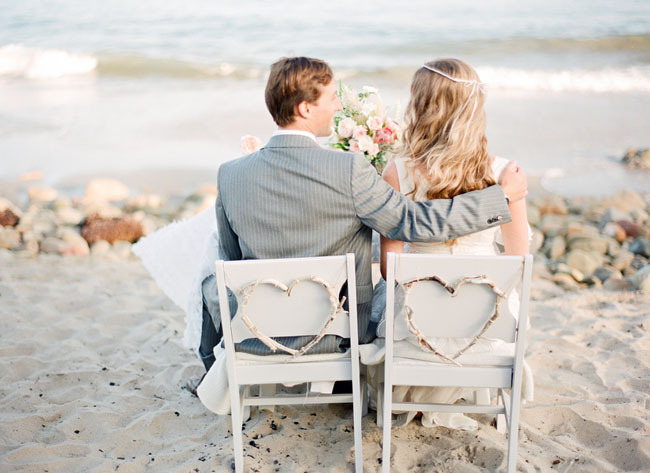 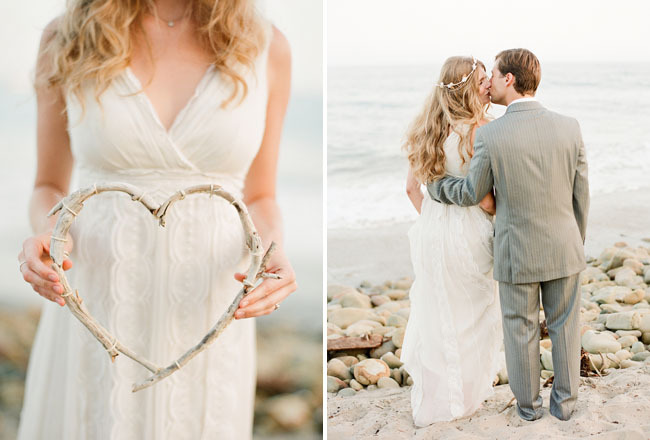 Perfect music for a beach elopement, right?! 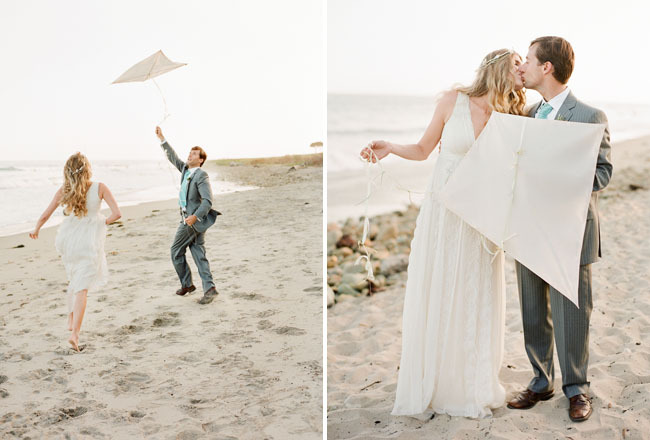 🙂 It was important to them to stay true to the natural elements around them as well as staying true to the couple. 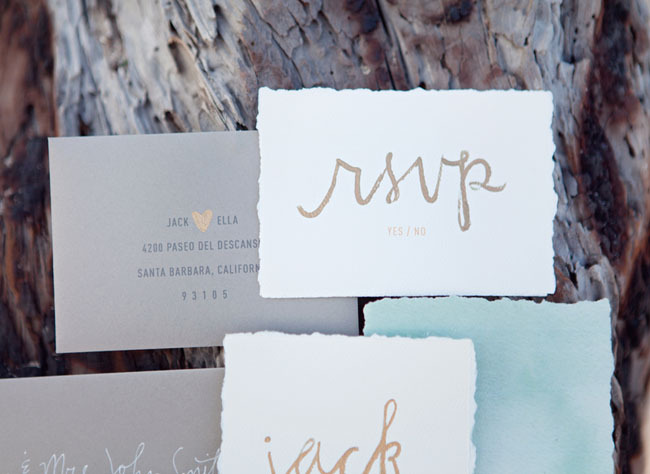 I love that the shoot is simple, playful and yet timeless. 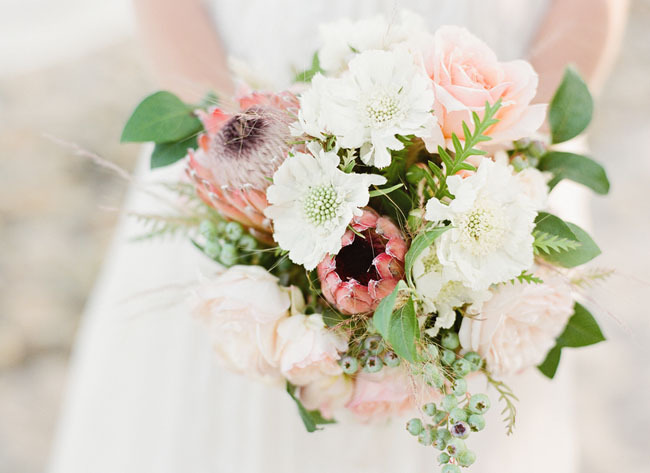 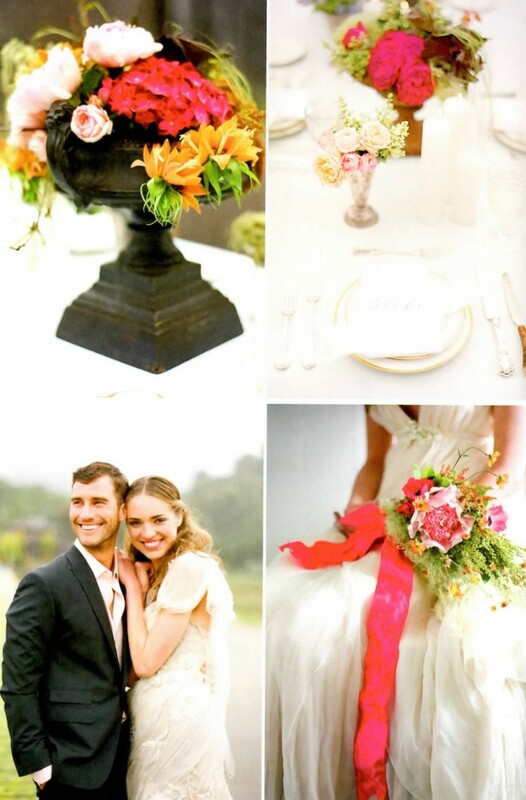 Pretty obsessed with her bouquet designed by Twig & Twine! 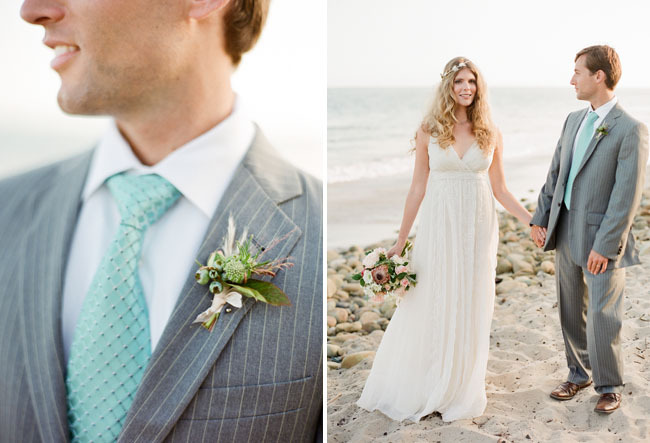 Her pretty dress is by Saja and her hair accessory is from Lo Boheme. 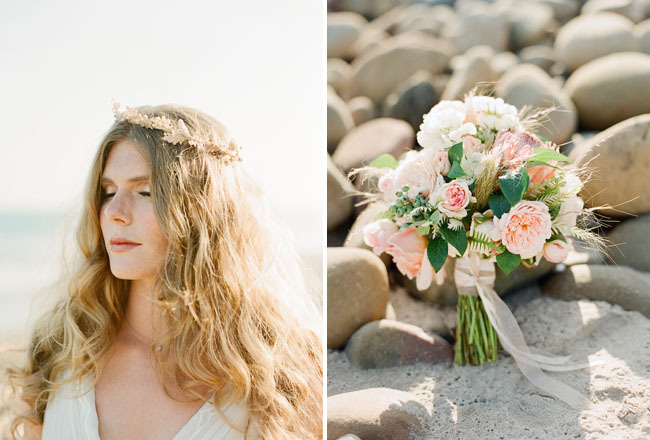 Gorgeous hair + makeup is by TEAM Hair and Makeup. 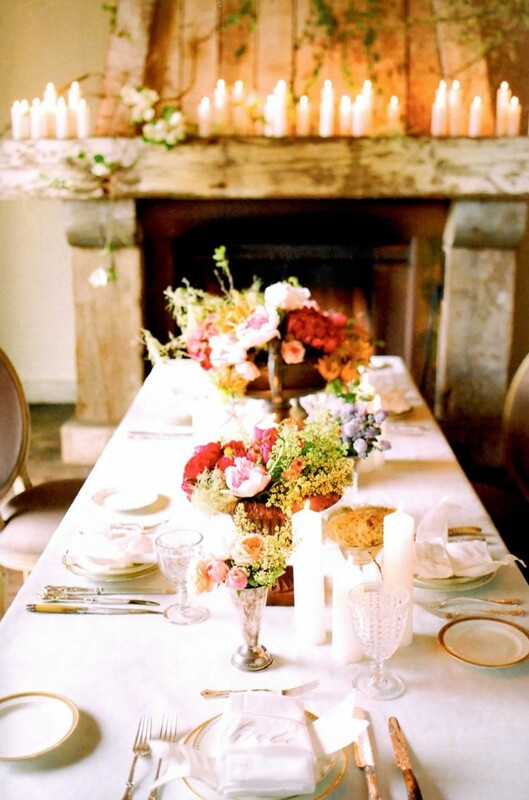 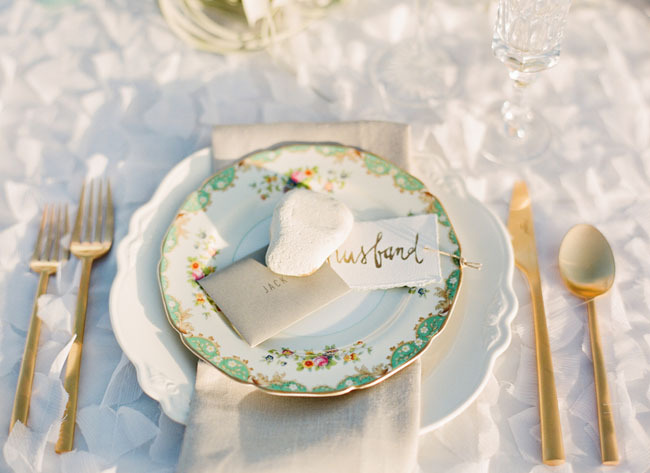 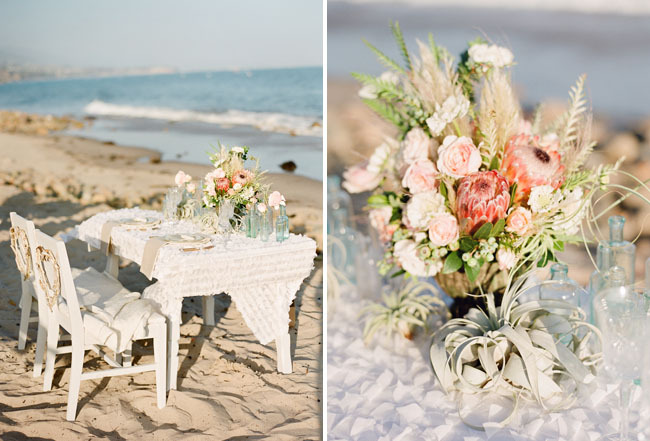 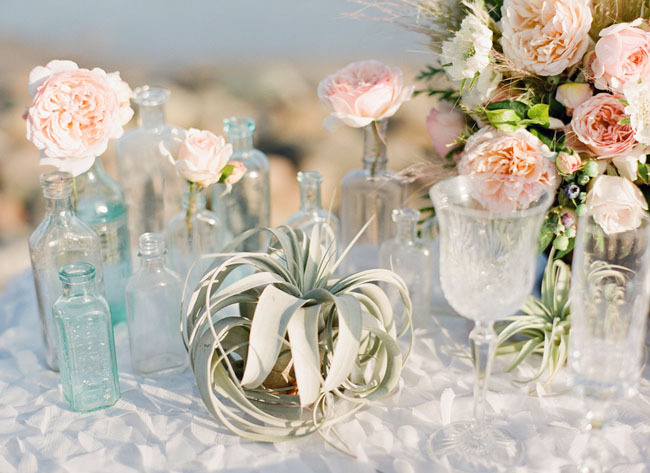 I love that the tabletop for two consisted of both soft and rough textures – from the sea foam mint, fluffy peach garden roses, and ruffle linen to hardy air plants, rock and birch wood details. 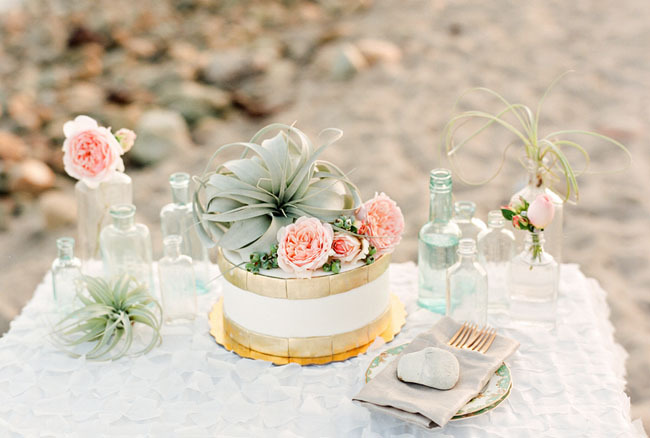 The yummy cake is by The Scootabaker and all the rentals (plates, silverware, bottles) are from Casa de Perrin. 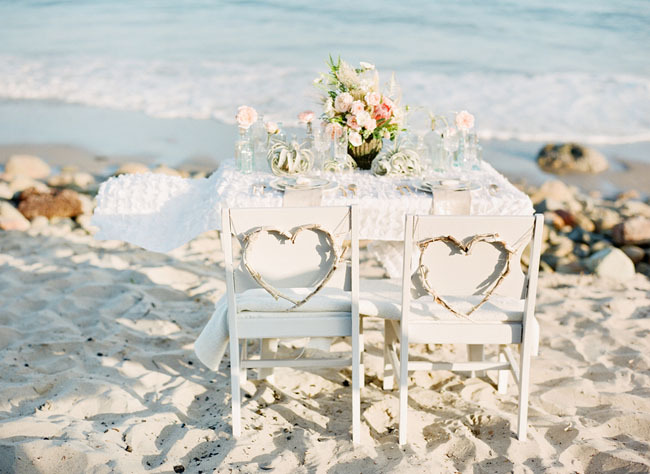 The pretty handmade hearts on their chairs (along with the kite seen later) are by Bramble Workshop. 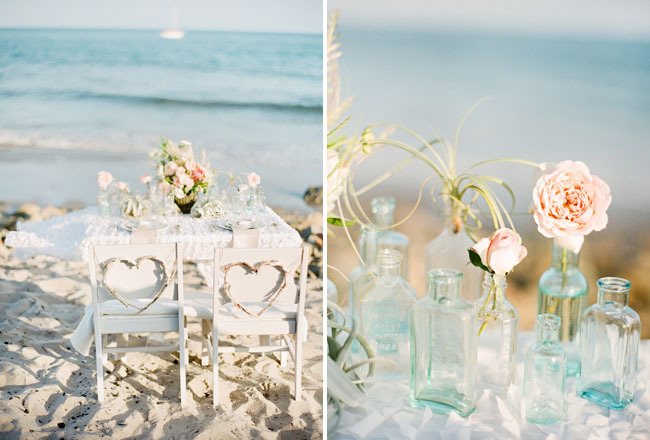 Thanks so much to all these creative artists for sharing this pretty beach inspiration with us today! 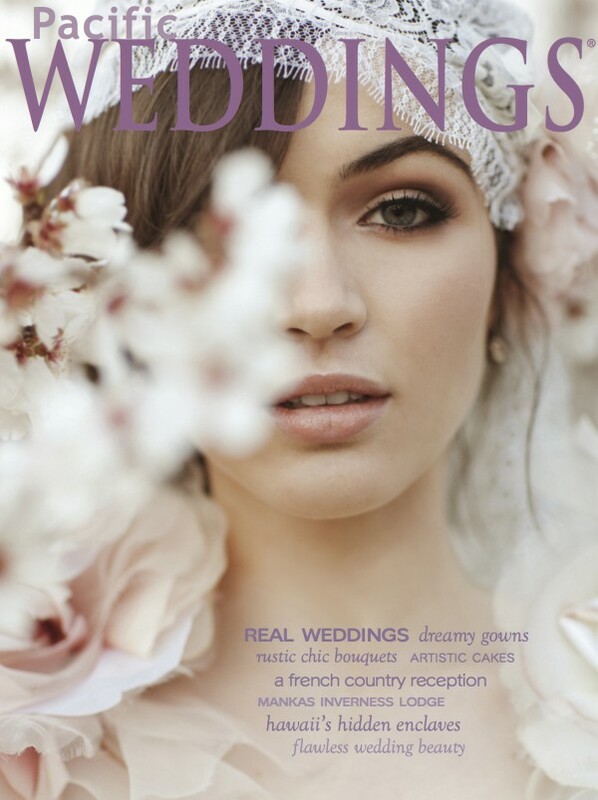 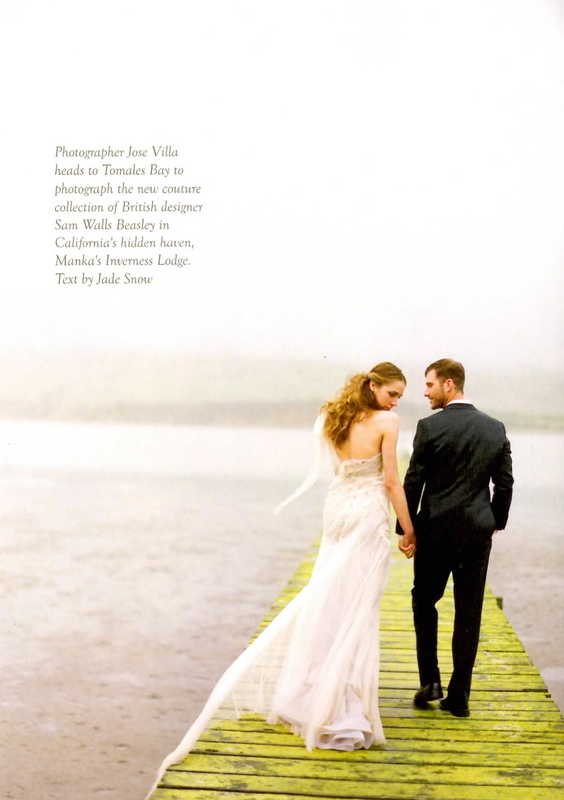 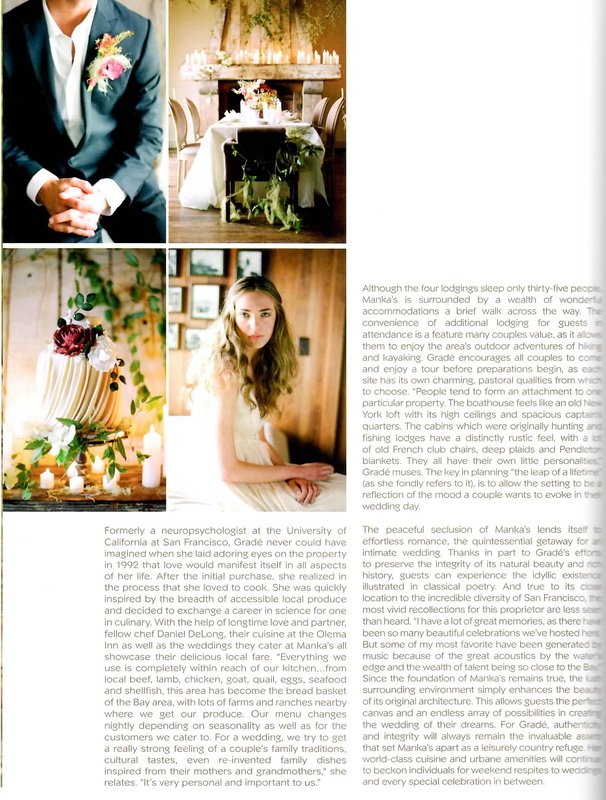 Featured in Weddings Nouveau Magazine! 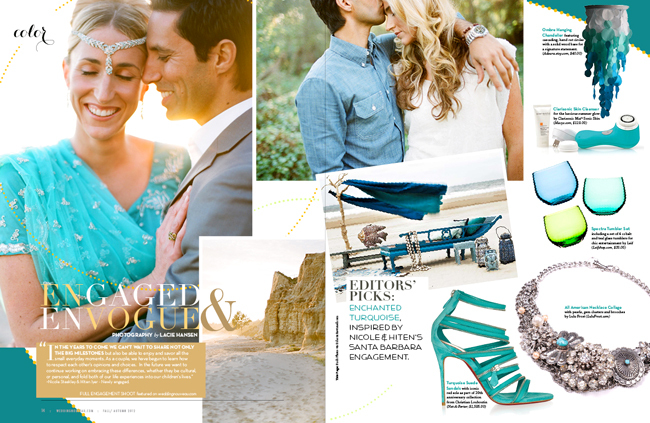 Engagement Session Featured on Jose Villa Blog! 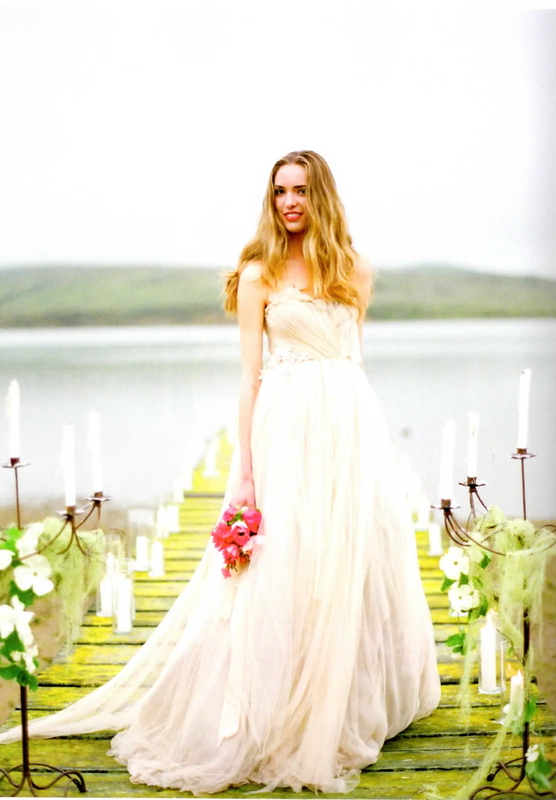 Greek Goddess Shoot Featured on Jose Villa Blog!